Sydney Alex Kumalo went to school in Diepkloof, Soweto. He began studying at the Polly Street Art Centre in 1952, working there under Cecil Skotnes (qv.) until 1957. In 1958 and 1959 Kumalo worked under the mentorship of the sculptor Eduardo Villa – an artistic apprenticeship which crucially honed and shaped his style and sensibility. It was Villa who introduced Kumalo to Modernist sculptors like Marino Marini and Henry Moore, as well to the African primitive strain in mid-century European modernism, and promoted the particular fusion of African reference and modernist expression which came to characterise Kumalo’s own expression. From 1958 onwards – Kumalo served as assistant to Cecil Skotnes at the Polly Street Centre before being appointed as a full art instructor at the centre in 1960. He continued teaching, first at Polly Street, then at the Jubilee Social Centre until 1964. Kumalo’s professional relationship with Skotnes extended in this time to collaborations on public commissions like murals in the Catholic Church in Kroonstad. At the same time Kumalo continued to work with Villa, and later exhibited internationally alongside Villa, Skotnes (qv. ), Cecily Sash, Guiseppe Cattaneo and Ezrom Legae (qv.) as the Amadlozi Group. After 1964 Kumalo left the teaching environment to become a full-time artist. In this role he was much fêted by the international anti- apartheid community, exhibiting regularly in European and American capitals, while still, ironically, equally regularly contributing work to Republic Festival exhibitions. In 1967, Kumalo visited the United States as a guest of USSALEP (the United States South Africa Leadership Exchange Programme), as well as Germany in 1979 and the USA again in 1985. 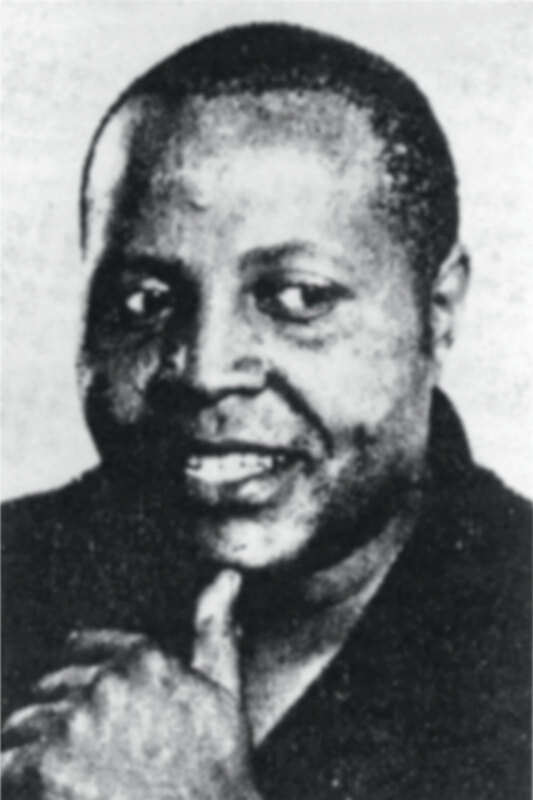 Sydney Kumalo died in Johannesburg in 1988. The importance of Kumalo in terms of the developing traditions of South African art can hardly be overstated. As the senior black educator at Polly Street and the Jubilee Centre, he shaped the sensibilities and style of a generation of artists. But more then this, in his own work, he succeeded in finding formulas and registers which, while they drew strongly on African sculptural tradition, nevertheless articulately spoke the languages of international modernism, and demanded to be taken seriously as such. Born Johannesburg, 1935; died 1988. Training 1952–1957: Studied at the Polly Street Art Centre, Johannebsurg, under Cecil Skotnes (qv.) and Edoardo Villa. Selected Exhibitions 1958: Group show, Lidchi Art Gallery, Johannesburg. 1960: Artists of Fame and Promise, Lawrence Adler Galleries, Johannesburg. 1962: Solo exhibition, Egon Guenther Gallery, Johannesburg. 1963–4: Amadlozi Group Exhibition, Rome, Venice, Florence, Milan. 1965: Fifty Years of Sculpture, Grosvenor Gallery, London. 1966: Egon Guenther Gallery, Johannesburg (one person show); Venice Biennale; Pretoria Republic Festival Exhibition, Grosvenor Gallery, London (Two person show with Cecil Skotnes). 1967: Solo exhibition, Egon Guenther Gallery, Johannesburg Group show, Grosvenor Gallery, New York. Sao Paolo Biennale. 1969: Contemporary African Art, Camden Arts Centre, London. 1971: SA Graphic Art, Holland, Belgium, West Germany. Republic Festival Exhibition, Cape Town. Johannesburg Artists – Diamond Jubilee of JAG, Johannesburg Art Gallery. 1972: SA Graphics, Goodman Gallery. Group show, Gallery 101.1974: Contemporary SA Art, National Art Gallery, Athens, Greece. 1975: Zulu Art, Royal Museum for Central Africa in Tervuren, Belgium. African Art from SA, Gallery 21, London. Solo exhibition, SA Sculpture by Leading Artists, Goodman Gallery, Johannesburg. 1976: Canberra, Australia (SA Art – Canberra Week); Solo exhibition, South African Association of Arts, Pretoria 1977: Goodman Gallery, Johannesburg (one person show) 1979: Art from SA/ Art from Soweto, Bonn and other centres in West Germany; Solo Exhibition, Goodman Gallery, Johannesburg 1981: Republic Festival Exhibition, Durban; Black Art Today, Jabulani Standard Bank, Soweto; SA Institute of Race Relations. 1982: Goodman Gallery, Johannesburg (one person show); National Museum and Art Gallery, Gaborone, Botswana (Art toward Social Development. An Exhibition of SA Art) 1985: Tributaries, Africana Museum, Johannesburg. Amadlozi group exhibition, New York; A Selection of Works by Distinguished Black Artists, FUBA, Johannesburg. 1986: Contemporary African Art Selected Works from the Pelmama Permanent Art Collection, Gallery 21. 1986–7: Johannesburg Art and Artists: Selections from a Century, Johannesburg Art Gallery. 1987: Solo exhibition, Goodman Gallery, Johannesburg. 1988: Johannesburg Art Gallery (Vita Art Now). Awards 1960: Artists of Fame and Promise. 1963: Art SA Today (Philip Frame Award). 1967: Transvaal Academy (Bronze medal and travel bursary to the USA). 1981: SA Institute of Race Relations Exhibition (First prize). Collections: Durban Art Museum; Johannesburg Art Gallery; Rembrandt van Rijn Art Foundation; Sandton Town Council; Iziko South African National Gallery; Sanlam Art Collection, Bellville; De Beers Centenary Art Gallery, University of Fort Hare; University of South Africa, Pretoria; University of the Witwatersrand, Johannesburg. Drawing is traditionally considered to be fundamental to the three- dimensional arts, and Sydney Kumalo’s production of works on paper was considerable, as was his activity as a sculptor. Drawing has always been important in terms of conceptualising form, and its immediacy encourages the free generation of ideas. For some sculptors, drawings are a vital part of the genesis of a work, to be discarded or deliberately destroyed afterwards – Michelangelo was one of these. For others, drawings could become final art works in themselves, either carefully kept or exhibited as independent art works along with the finished sculptures. Drawings were also made that had no relationship to sculpture. Kumalo’s produced spontaneous drawings that were either lacking in finish or finely-tuned essays on three-dimensionality expressed in terms of two. The fact that these drawings were signed by him indicates that he considered them to be finished works of art. Part of the two-way dialogue between sculpture and drawing is that a completed sculpture could even become the departure point for a series of drawings; each seen as part of a new process and each an independent creation. Elza Miles. 2004. Polly Street: The Story of an Art Centre. The Ampersand Foundation. Johannesburg. pp. 106, 110. All quotations in this last paragraph are from: Oliver Kerr. 1973. ‘Kumalo’s bold compositions enthrall’. Sunday Express, Johannesburg. 5 August.